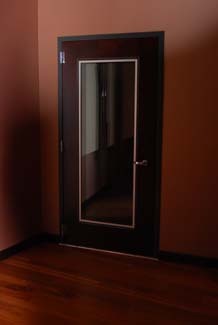 TechStar Industries provides the finest factory assembled and field proven doors in the noise control industry. 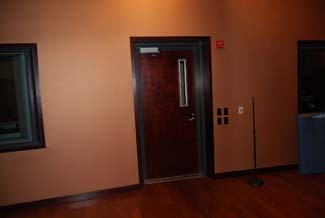 Door and frame assemblies that have been fabricated as sound-retardant units, tested as assemblies, according to ASTM E 90 and have certified Sound Transmission Class (STC) rating as determined according to ASTM E 413. 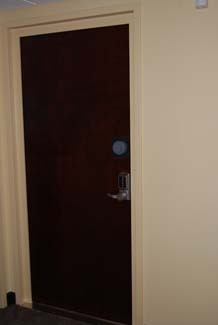 Doors can be designed as singles or pairs, including single or bi-parting horizontal sliding doors and vertical lift units. Most are available as manual or power operated depending on your need. 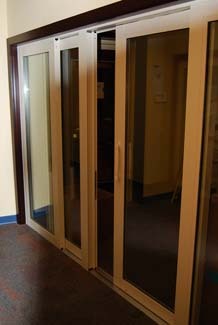 Frames, seals and door bottoms are supplied with all assemblies. Customized seals, cam lift hinges, thresholds, locksets, security devices and other hardware are also included and customized to achieve the performance and operation you require. Manufacturer's warranty is included and installation services are available. 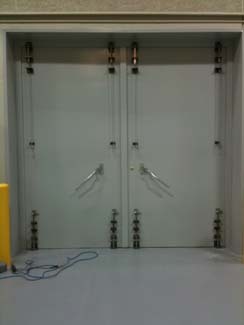 Turn-key installation services are available for all products.